The business of "sync" is a relatively new area of the music industry. This new business model is quickly becoming a game changer for music makers to generate a nice income. Syncing music basically consist of obtaining a license by the owner of the musical work, allowing the rights to place the song, or often a portion of the song, on a visual media project. This is usually done by the Music Supervisor and/or their team. I was fortunate enough to see this trend coming. Not by my super powers or telepathic radar but, because I have made a mission to watch such things as an advocate for original music and songwriters. I was exposed to the world of sync from a fellow co-writer before much information was present. I followed the few captains that had a clue about this innovative new end of the industry and I vigorously began educating myself on music publishing. After placing a few songs on some networks, I began learning how to license music; if only out of necessity to avoid the cost of outsourcing. This became a passion for me after seeing the financial results for many songwriters that I so believed in. Now, though I still feel the same passion, I have scaled back a bit because the "business" end of the industry was eating a hole in my creative soul. But, I managed to keep my contacts close. Most Music Supervisors, I have found, are greatly talented people themselves! I have been fortunate enough to witness the benefits for songwriters that have placed music into sync projects. In this new era of music, the knowledge of this process is vital; it is ever expanding. So, here is some very important information I have gathered from my experiences. This overview should be a helpful guide for those wanting to learn about the world of sync. Let's start with the new "DJ" in town. Yesterday's radio Disc Jockey was once the person that introduced listeners to new music. That is not the case today in most markets. Now, it appears Television is the new radio. Enter the Music Supervisor. Like many popular radio personalities, who created an audience for emerging new acts, the Music Supervisors are the ones presenting songs and artists to the mainstream. Yet, maybe on a larger scale. Audiences are growing immensely with the surge of new program options from ever expanding streaming services. This is offering viewers a vast selection to choose from and the considerable amount of shows are contributing to the music makers having more options as the need for music grows. What is a Music Supervisor? The Music Supervisor is the person (or persons) who control all of the aspects relating to music placed in media formats such as film, television, video games, commercials, and any visual media platform. They are given the responsibility of assisting the director to convey certain moods and emotions with music. This means there is a need for music. The music supervisor may very well be the best asset for a songwriter. Why? They are the ones placing a songwriter/artists' music on a platform that exposes a large number of people to their music. This level of exposure potentially leads to a significant increase of opportunity and payment. Sometimes a placement on a project can result in a substantial payday for the proprietor. This is, of course, dependent on how large of an audience the project has. For example; a global ad campaign will pay considerably more for a license and have a larger payment in residuals. Major motion pictures and commercials seem to be more profitable for placements. This is usually because of the greater budget. However, this is not to disregard smaller avenues such as television or platforms such as YouTube, Hulu and Amazon. These emerging media cloud services are rapidly expanding, gaining new viewers and offering a built in fan base. Netflix alone has 1 million plus viewers. If you are wondering how you can get on board, here is some exclusive, important information to assist you. Process - this is a process, it will not happen overnight. Predict what Music Supervisor's will need by watching television series, keeping up with trends and following resources on social media. Some Music Supervisors will post what they are looking for and working on. Keep writing and crafting your skills to get better and have better material to offer when the opportunity arises. Prepare before writing/submitting material. Do your research to see what projects are currently filming. Look at the subject matter to get an idea of what type of content they may need. Research the types of music the project has had in the past. You can research shows and music supervisors involved at www.imdb.com. You can research what music has been placed on television in the past at www.tunefind.com. Protect your product. Make sure you own ALL the rights to the music you want to submit- this includes any samples that may be used in your music. Copyright all of your material! You can do that here: www.copyright.gov. The best way to NEVER get a sync is to be blacklisted by submitting music that is not your own. PRO's and Professional Associations You must join a PRO (Performance Rights Organization) before submitting material. This is the way you get paid. 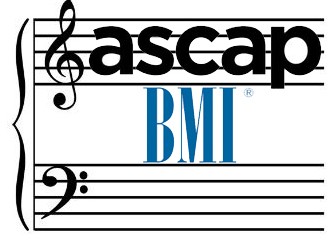 BMI and ASCAP are open for you to join. In my opinion, one is not better than the other, it is personal choice. BMI: www.bmi.com, ASCAP: www.ascap.com. Professional Association's (Songwriters Groups in your community or region as well as nationally) increase your odds of opportunities by giving info, resources and making contacts. Proper metadata. This is a new requirement when submitting songs. Music Supervisors want to have easy access to this information. If using iTunes, information will be put into Notes section. The following information is what will be needed: Songwriters names and contact information, Publisher if any and contact information. PRO and copyright number, the artist name that recorded it and any links to bios on artists and songwriters. It is helpful to also include BPM (beats per minute) and a summary of the content and style of the material. Example: Content: Wind on the mountains, Americana, acoustic, mood: reflective. Preclear your music. This means make sure it is good to go if they like it. If there is more than one writer make sure you have permissions. Make sure there is nothing that will delay placement if the Music Sup is ready to put it on a project. Have it in mp3 form and WAV form. Often, Music Supervisors decide at the last minute and need it ready to place immediately. Production Quality must be good enough to be placed. This is where a lot of songwriters, artists and producers miss the ball. The music must be broadcast quality and have a certain sonic sound for placements. It will not be re-recorded for a sync, it has to be ready. It must be recorded and mixed to a professional standard. Publishers (and Sync Agents) are a great resource for placing music. They usually are the ones that have access to music supervisors. Music supervisors are often gun shy about accepting music from non- publishers because of the fear that the material is not properly prepared or pre-cleared. However, publishers do receive a percentage of your sync fee but, this may be worth it because as a songwriter you probably wouldn't have had the chance without them. Be Polite and respectful of the Music Supervisor's Privacy. Soliciting your music without permission is a no-no. It is essential to get "permission to pitch" prior to doing so. This can be done by email or phone call. However, know that this is not an easy task. Attending sync gatherings are the best way to get your foot in the door. Pitching. When you do pitch make 100% certain it is material that fits the project perfectly. Not doing this will also cause the Music Sup to not use you or accept material again. This is crucial. Also, when pitching, make sure you send mp3's and WAV's in a downloadable file such as Dropbox. Music Sup's vary in the ways they want to receive music and make sure you find out their preference prior to pitching. When you do get a placement, PROMOTE yourself! This will get attention from other possible resources and increase odds for another sync. Payment. You should receive a sync fee after the project airs and your royalties will come from your PRO at the end of the quarter. Quarterly payments are usually the standard for PRO's. Be Patient and Persevere- don't give up!